Throughout 2016, RainReady conducted an intensive outreach program to collect community information about flood risk and opportunity in Blue Island, Calumet City, Calumet Park, Dolton, Riverdale, and Robbins. 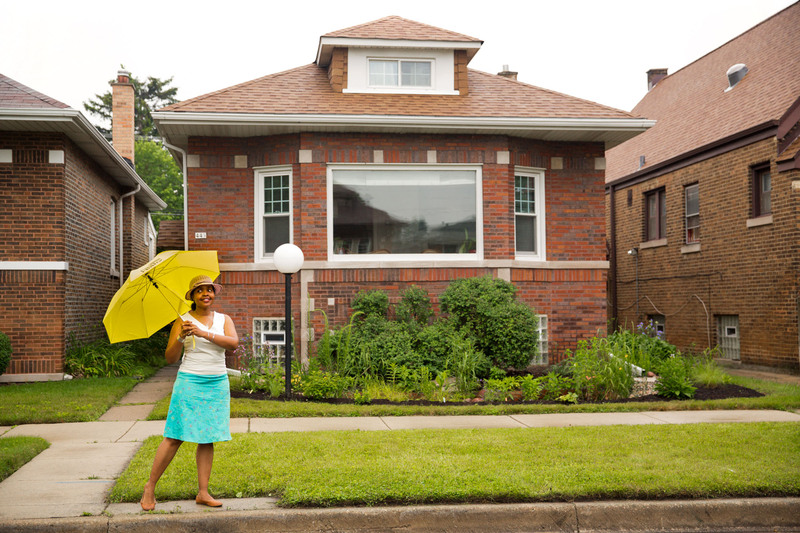 What would a RainReady Calumet Corridor look like? South of Chicago in Cook County, adjacent to Indiana and accessible by all major modes of transportation, the communities of the Calumet Corridor are connected by the Little Calumet River in a region that has historically been home to heavy industrial development. A RainReady Calumet Corridor would be a region where local residents and businesses receive relief from flooding in a way that also creates more beautiful neighborhoods, new green jobs, outdoor recreation opportunities, retail activity, and habitat conservation. In 2016, CNT again partnered with the U.S. Army Corps of Engineers to develop RainReady Plans for 6 communities in south Cook County. With support from Cook County through the Community Development Block Grant – Disaster Recovery program, we held seven community meetings, hosted six educational workshops, reviewed over 100 relevant plans, programs and policies, and set up six Community Steering Committees. 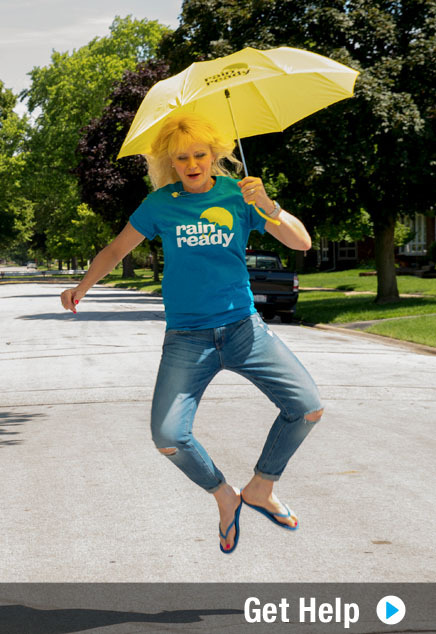 584 residents responded to the RainReady survey, and 2,100 people contributed ideas to the RainReady team. The team developed a new mapping tool to organize all of this information and identify solutions based on flood risk and economic development opportunities. 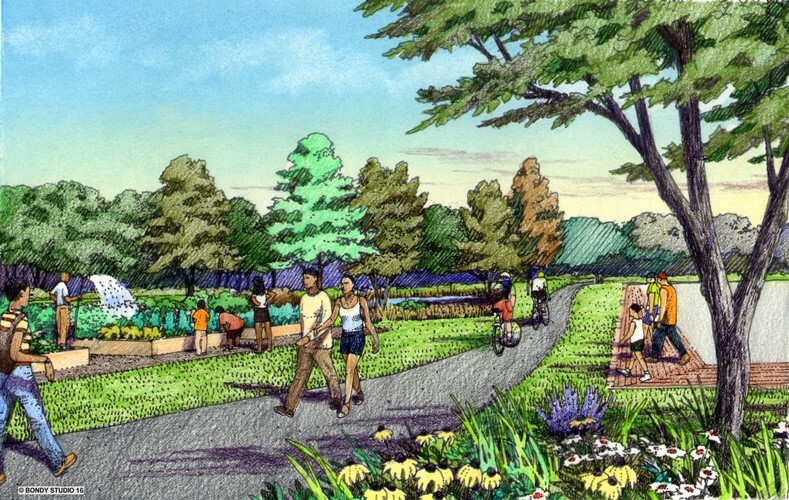 The resulting RainReady Calumet Corridor Plan sets communities on a path towards improved stormwater management, sustainable economic development, and integrated planning. The document can be used by community residents, municipal staff, and elected officials to collaborate on this shared vision. Please visit the RainReady Calumet Corridor website for more information. Get help with your RainReady plan, join our mailing list, connect with us. Click here to sign up for updates about RainReady issues nationwide.